These statistics are compiled monthly by Windermere with information furnished by the Northwest Multiple Listing Service and specific to the greater Seattle market area. They are published the second week of every month for the previous month comparing the past month with the same time one year ago. 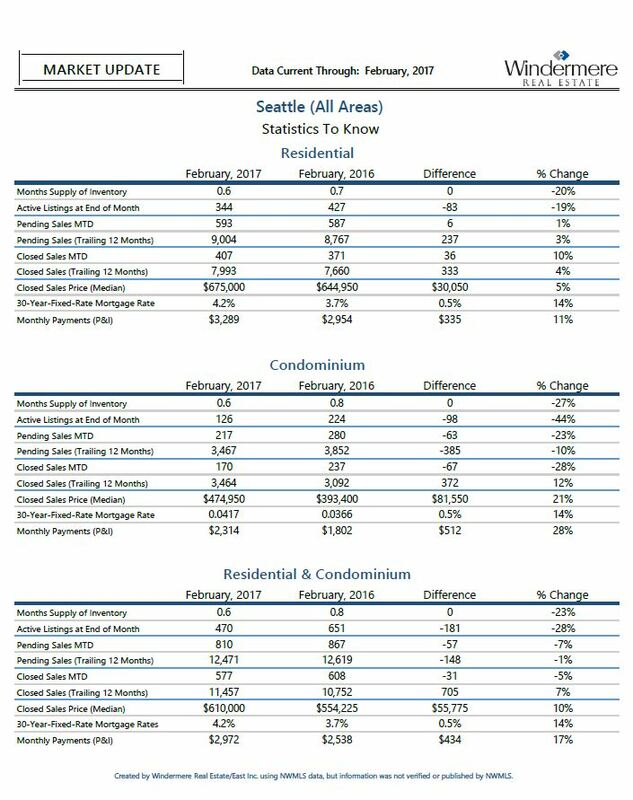 I look forward to these stats every month as it helps determined trends and shifts in our local market. Feel free to contact me if you would like discuss, have any questions or I may be of assistance.